St Ephrem the Syrian was a deacon and a song-writer from the 300s "All kinds of storms trouble me -- and you have been kinder to the Ark: only waves surrounded it, but ramps and weapons and waves surround me... O Helmsman of the Ark, be my pilot on dry land! You gave the Ark rest on the haven of a mountain, give me rest in the haven of my walls." "Ever forseeing the hour of reckoning thou didst bewail thy sins with tears of compunction O Ephraim and thou wast active in works as a teacher O Saint. 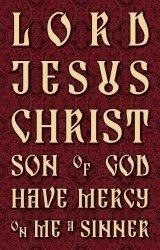 Therefore O father of all the world thou didst rouse the indifferent and easy-going to repentance." 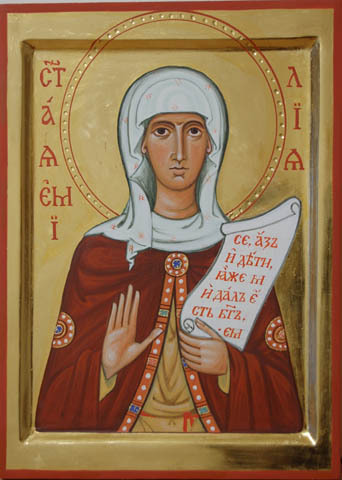 St Amelia (died May 30, 375) was the wife of Basil the Elder and bore nine or ten children,including Basil of Caesarea (born circa 330), Macrina the Younger, Peter of Sebaste, Gregory of Nyssa, and Naucratius. She is not the only woman in her family to be venerated as a saint. Both her mother-in-law, Macrina the Elder, as well as her daughters, Macrina the Younger and Theosebia are recognized as saints in the Catholic Church (except for Theosebia) and Eastern Orthodox Church. "Through thee the divine likeness was securely preserved, O Mother Emilia; for thou didst carry the cross and follow Christ. By example and precept thou didst teach us to ignore the body because it is perishable, and to attend to the concerns of the undying soul. Therefore, doth thy soul rejoice with the angels." 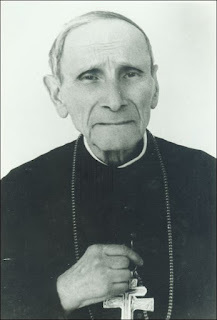 Servant of God Iuliu Hossu (30 January 1885 - 28 May 1970) was a Romanian Greek-Catholic bishop of the Cluj-Gherla Diocese and later an "in pectore" cardinal (never functioning) and victim of the Communist regime.Pope Paul VI elevated Hossu to the rank of cardinal "in pectore" in 1969 but did not publish his appointment until 1973 which was after Hossu's death. The Communist authorities arrested Bishop Hossu on 28 October 1948. From 1950 to 1955 he was detained as political prisoner at the Sighet prison. He spent the rest of his life under house arrest and later died in 1970. Servant of God Catherine Dougherty -Ekaterina Fyodorovna Kolyschkine de Hueck Doherty - (August 15, 1896 – December 14, 1985), was a Catholic social worker and founder of the Madonna House Apostolate. A pioneer of social justice and a renowned national speaker, Doherty was also a prolific writer of hundreds of articles, best-selling author of dozens of books, and a dedicated wife and mother. Blessed Theodore Romzha (14 April 1911 – 31 October 1947) was bishop of the Ruthenian Catholic Eparchy of Mukacheve from 1944 to 1947.Theodore Romzha was born in the Subcarpathia region, Hungary, Austria-Hungary (in the Rusyn village Velykyi Bychkiv, now Ukraine) on 14 April 1911. Assassinated by NKVD, he was beatified as a martyr by Pope John Paul II on 27 June 2001. 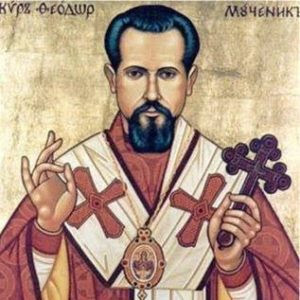 "O priest martyr Theodore, following the apostles' path of piety, As a good shepherd guarding Christ's flock, you laid down your life, For having been slain by the godless, o Blessed One, Adorned with wounds you entered into eternal joy, o Long-Suffering One, And received from the Lamb of God the crown of glory. Pray to Him to save our souls." Blessed Miriam Teresa Demjanovich, S.C. (March 26, 1901 – May 8, 1927), was an American Ruthenian Catholic Sister of Charity, who has been beatified by the Catholic Church. The beatification ceremony was the first to take place in the United States. 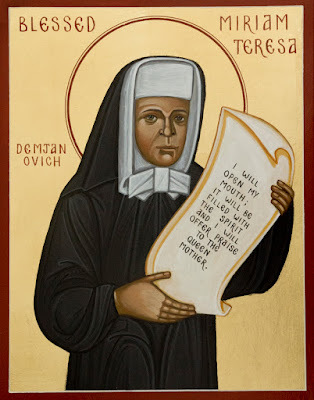 She was born Teresa Demjanovich in Bayonne, New Jersey, on March 26, 1901, the youngest of the seven children of Alexander Demjanovich and Johanna Suchy, Ruthenian immigrants to the United States from what is now eastern Slovakia. She received Baptism, Chrismation, and First Holy Communion in the Ruthenian Rite of her parents. 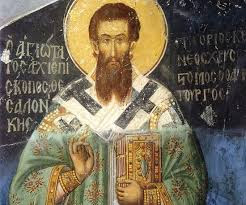 Gregory Palamas (c. 1296 – 1357 or 1359) was a prominent theologian and ecclesiastical figure of the late Byzantine period. A monk of Mount Athos (modern Greece) and later archbishop of Thessaloniki, he is famous for his defense of hesychast spirituality, the uncreated character of the light of the Transfiguration, and the distinction between God's essence and energies (i.e., the divine will, divine grace, etc.). 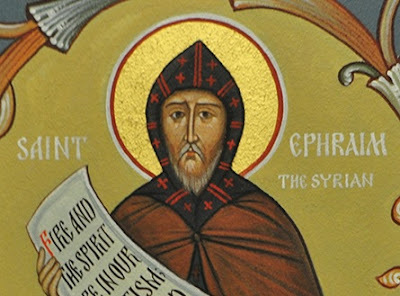 "O light of Orthodoxy, teacher of the Church, its confirmation, O ideal of monks and invincible champion of theologians, O wonder-working Gregory, glory of Thessalonica and preacher of grace, always intercede before the Lord that our souls may be saved." We splurged on some lovely faith-centered gifts this Christmas season- take a look! A 4 book series- "In the days of knights and castles lived an adventurous young troubadour named Loupio. Orphaned and on his own in 13th century Italy, plucky Loupio meets Brother Francis of Assisi and his friend Brother Wolf, and so begins a new life of joyfully trying to do good, while still getting by in a dangerous world." How many Bible categories can you match before time runs out? Roll the die to determine the letter for that round. You roll a "C". Now start the timer! How quickly can you think of a "Place Christ walked?..." Canaan!... "Things that separate us from each other?..." Carelessness! This game is entertaining, enhances faith and promotes learning. The Catholic Edition contains 48 additional Catholic categories. Critically lauded singer, songwriter and musician, as well as author, speaker, producer and daughter of a Syrian refugee, Audrey Assad internationally released her second independent album, Inheritance, Feb 12 on Fortunate Fall Records with Tone Tree Music distribution-a collection of hymns and original songs that both pay homage to her childhood heritage and to her Catholic faith and charismatic spirituality. The Way of a Pilgrim is the chronicle of an anonymous nineteenth century Russian Christian’s travels and spiritual inquiries. Eye-opening and extraordinary, The Way of a Pilgrim offers a one-of-a-kind portrait of the traditions and interior life of Russian Orthodox spirituality and practice. An obvious clue could be strictly TABOO! To get your team to say MOSES would you say, PRINCE, EGYPT, PLAGUES, PHAROAH, or COMMANDMENT? In this game you can’t because all of those words are strictly TABOO. Rattle off clues while the time counts down. You’ll earn a point each time your team guesses correctly. But watch what you say. If your opponents hear a TABOO word, you’ll get buzzed and they’ll get the point. 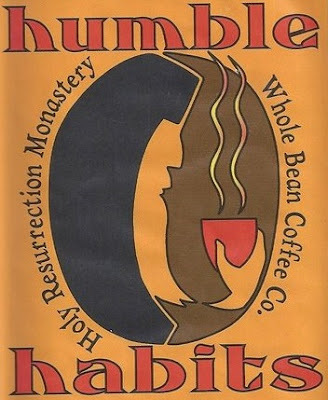 buying some delicious coffee from the monks at Holy Resurrection Monastery! As much fun as it is to watch studio C youtube videos together... Christmastide really should be family-together-time- not family-turn-into-zombie-time...so here's some new games we are loving lately- Do you need more screen-free family time? I bought the junior level game for our family and my parents sent us the 'normal' level game. it is difficult! Play with teams for more fun! Tolkien-inspired gifts are a requirement in our household. Bonus: a new puzzle! For those readers without toddlers in the house, leaving out a puzzle to work on as a family over a few days is a lot of fun. With a toddler, it would be torture. So- toddler families- wait a few years before you start this tradition! Aflame with divine desire from childhood, You took up Christ’s yoke, O wise Stephen. You sowed the good seed in a hardened people grown old in unbelief and gave birth to them in the Gospel. Celebrating your memory, we pray to you: Entreat him whom you proclaimed that our souls may be saved! You were found to be a hierarch to those who sought you not. You freed your people from idols and brought them to faith in Christ. 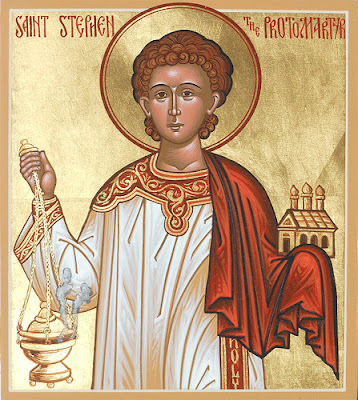 Therefore the faithful hymn you with thanksgiving, crying: Rejoice, O wise teacher Stephen! 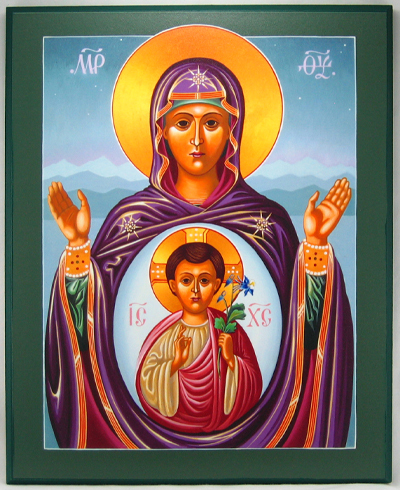 The Virgin today gives birth to the Transcendent One, and the earth offers a cave to the Unapproachable One. Angels and shepherds glorify Him, and wise men journey with a star. For a young Child is born for us, Who is the eternal God. On this 2nd day of the feast of the Nativity of Jesus Christ, the Synaxis ('also worthy') of the Most Holy Theotokos (Mother of God, God-bearer), Mary, is celebrated. Combining the hymns of the Nativity with those celebrating the Mother of God, the Church points to Mary as the one through whom the Incarnation was made possible. His humanity—concretely and historically—is the humanity He received from Mary. His body is, first of all, her body. His life is her life. 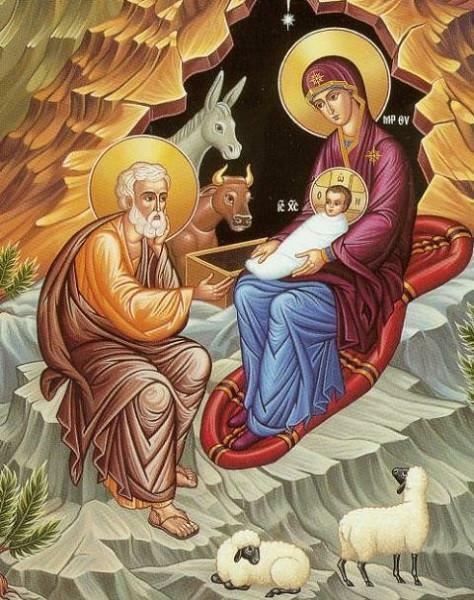 on the 1st day of Christmas- Christ is born! 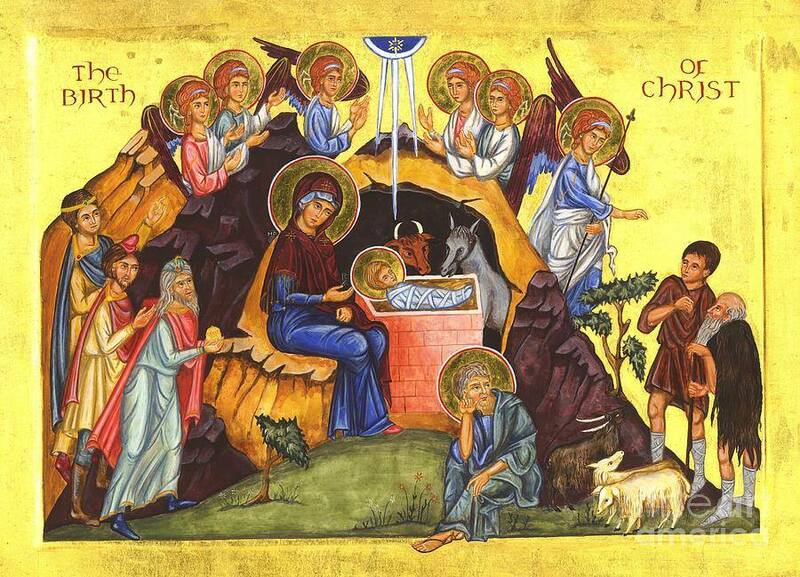 Your Nativity, O Christ our God, / Has shone to the world the Light of wisdom! / For by it, those who worshipped the stars, / Were taught by a Star to adore You, / The Sun of Righteousness, / And to know You, the Orient from on High. / O Lord, glory to You! 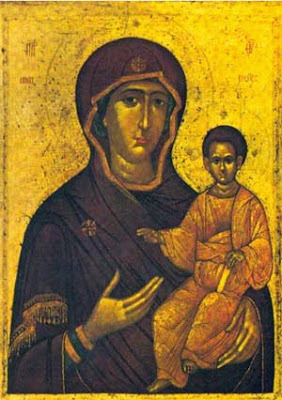 Today the Virgin gives birth to the Transcendent One, / And the earth offers a cave to the Unapproachable One! / Angels with shepherds glorify Him! / The wise men journey with a star! / Since for our sake the Eternal God was born as a Little Child! Hail! Offshoot of the house of Ephrata. Hail! Whose goings out are from age to age. Hail! Who waits upon the woman to give birth. Hail! Who awaits the return of your brethren. Hail! Father of the sons of Israel. Hail! Feeder of the flock. Hail! Majesty of the Name. Hail! Gatherer of the bruised. Hail! Reigning from Mount Zion. Hail! Who make small Bethlehem great. Hail! Lord of Hosts, speaking in the silent cave. Hail! New Child, being God from all eternity. Who speaks through unclean Barlaam’s lips? Hail! Who hurls the wealth of Tyre into the sea. Hail! Encamped among the remnant of Judah. Hail! Who calls the daughter of Zion to rejoice. Hail! Riding triumphant upon the foal. Hail! Who cuts off the chariot from Ephraim. Hail! Whose colt turns back the warhorse from Jerusalem. Hail! Your dominion is from sea to sea. Hail! You rule from the River to the ends of the earth. Hail! Blood of the covenant. Hail! Freedom of captives from the waterless pit. Hail! Whose grain makes the young men flourish. Hail! Whose wine restores the maidens. after Malachi foresaw Elijah’s sending. Hail! Child born for us. Hail! Son given for us. Hail! Whose shoulders bear the Government. Hail! Angel of Great Counsel. Hail! Father of the Age to Come. Hail! Upholder of the Throne from Age to Age. Hail! Judge of the lowly with justice. Hail! Little Child who leads us. Hail! Lord God of our Fathers, worthy of all praise. Hail! Just in all that you do. Hail! Maker of the sun and moon. Hail! Creator of the stars of heaven. Hail! Who send us fire and hail, frost and snow. Hail! Glorified in winter cold and summer heat. Hail! Source of springs, seas and rivers. Hail! Who care for birds of the air, for beasts and cattle. Hail! Son of Man for the sons of men. Hail! Whose mercy endures forever. foreshadowing the Spirit’s overshadowing of the Virgin soil. Hail! Before Whom David danced. Hail! Cause of sweet-sung psalm. Hail! Glory of the Temple. Hail! Borne between the cherubim. Hail! Wisdom foolish to the wise. Hail! Kingship lowly to the lordly. Hail! Bread on which the princes feast. Hail! Cleansing Blood for priests. Hail! Wonder of the world. Hail! For Whom prophets spoke. Hail! To Whom kingly praise is due. Hail! Yearned for by Babylon’s streams. Hail! Comfort of the weeping. Hail! Forsaken but never forsaking. Hail! Faithful to a faithless people. Hail! Nearby when we are far away. Hail! Joy hidden within the ashes. Hail! Secret food for those who fast. Hail! Who hears the rending of the robe. Hail! Strength of the remnant. Hail! Hearth aflame for the returner. Hail! Restorer of the Law. Shall Judith now slay the tyrant death? Hail! Fire that does not consume. Hail! Name beyond all names. Hail! Confidence of the stammerer. Hail! Hardener of the hardened heart. Hail! Pillar of Cloud by day. Hail! Pillar of Fire by night. Hail! Lifter of the sea. Hail! Feeder of the manna. Hail! Water flowing from the rock. Hail! Giver of the Law. Hail! Pourer of the Spirit. of another, though virgin, Rahab. Hail! Man of the drawn sword upon the holy ground. Hail! Trumpet blast leveling the walls of sin. Hail! Conquest of the land. Hail! Jordan’s source and joy. Hail! Who has dropped the heavens. Hail! Cloud raining water on the land. Hail! Avenger against the Philistine. Hail! Breaker of every Baal. Hail! New Boaz wedding Ruth. Go to David’s city, to see David’s Lord born as his son. Since December 4th, we in this part of California have been living with the smoke and fire danger of the Thomas Fire. One firefighter, traveling 200 miles away from his home to help, has perished. Most of our circle of Catholic homeschooling families have gone back to their homes after the clean-up, but the fire is still only half contained. One family has lost everything material, but they are happy that everyone is healthy and safe. 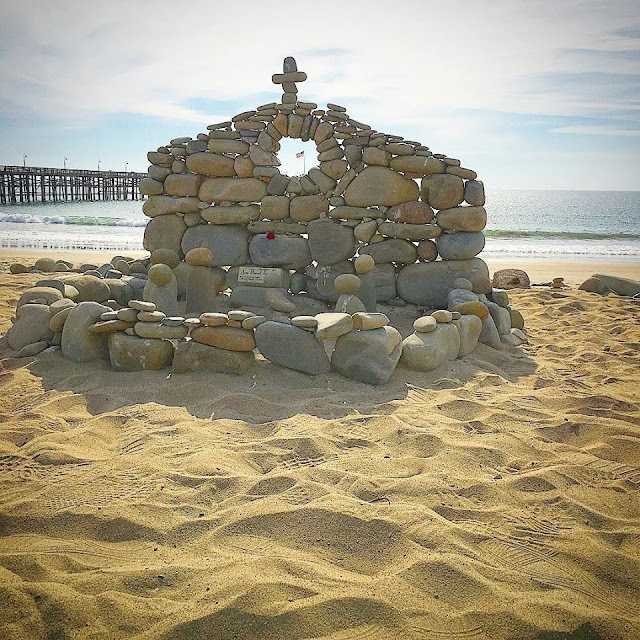 We in Ventura County feels very blessed to be celebrating the Nativity of Jesus Christ this year, knowing how privileged we are to live in a place where people really come together to help their neighbors. Hail! Who have called us out to a new land. Hail! Who have made of us a great nation. Hail! Judge of covenant breakers. Hail! Counted among Abraham’s seed. Hail! Promiser and promised in One. Hail! Whose providence draws all to Yourself. Hail! Who raises sons of Abraham from the stoniest of hearts. Hail! Whose blessings are more than the sands of the seashore. Hail! The Host who makes Himself guest in the heat of our days. Shepherds are herded by angels through the cave’s narrow gate. A manger offers bestial men celestial Food. Hail! Field and field’s Fruit in one. Hail! Aroma filling the Father’s nostrils with joy. Hail! Fatness of the earth, plenty and grain and wine. Hail! Blessing of those who bless You. Hail! Curse of those who curse You. Hail! Laborer for your beloveds’ love. Hail! Winner of false Laban’s flocks. Hail! Shepherd of many sheep. Hail! Who marks us as we wrestle. Hail! Whom Jacob would not let go without a blessing. Hail! Father of the Twelve Tribes. Hail! Lover of all earth’s tribes. now Caesar commands a new Joseph, wending to Bethlehem to obey. the second preserves the Virgin’s honor intact. 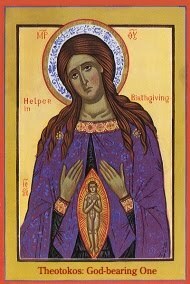 Today the Virgin is on her way, to the cave where she will give birth to the Eternal Word of God in an ineffable manner. Rejoice, therefore, O Universe when you hear this news, and glorify with the angels and the shepherds Him who will appear as a new child, being God from all eternity. Hail! Who from the beginning was the Word. Hail! God with God, and Father’s Word. Hail! Through Whom all things were made. Hail! In Whom is Life, the Light of all. Hail! In the world, but unknown. Hail! Receiver of those who receive You. Hail! Power of new birth. Hail! Word made flesh among us dwelling. Order stills chaos. The Abyss is no longer void. Darkness has fled away. The Word of God, Who once spoke from without, is now heard within. Echoing the angels’ hymn: Alleluia! Hail! Planter of the Tree of Life. Hail! Nailed upon the Tree of Death. Hail! Fruit most desired in all the garden. Hail! Delight to the enclosed heart’s eyes. Hail! Whose feet have walked with ours in the dusk. Hail! Who comes searching out our hidden shame. Hail! Enemy to cunning envy. Hail! Friend to peace-filled love. Hail! Sewer of our skins. Hail! Looser of our sins! Hail! Companion in our exile. Hail! Welcome home through Eden’s doors. Now Joseph returns to the land of his line, to David’s house. "Yes, I am one of those Latin Church Catholics considering the switch to a Byzantine Rite Church. I understand this changing of ascription might puzzle (at best) or offend (at worst) some. Let me say that I understand the reservations entirely, and I’d like to bare my soul (if only ever so slightly) to explain why I’ve come to this point and why you might not. Back in high school, I had the great privilege of attending a Ukrainian Catholic High School. It was just down the block from our house and had a solid theology program (unlike so many other Catholic high schools at the time). It was there that I first encountered the Divine Liturgy. We also wound up becoming part-time parishioners at the school’s parish, at first for the tuition deduction (I mean, we were already Sunday Mass goers, we just split our Sundays between our Ukrainian Catholic and Latin Polish parishes). My brothers and I also had the privilege of serving at the Divine Liturgy. As time went on and we transferred out of the school, I still felt the “call of the East” drawing me back. I’d still attend Divine Liturgy on occasion, but as the rest of my family was more comfortable as Latins, I did so infrequently. 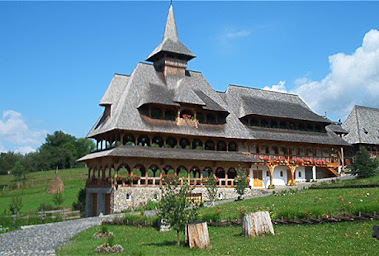 While completing a year of national service at my alma mater after graduation, I was able to start attending a Ruthenian parish somewhat regularly (again, living only 30 minutes or so from home, I’d often go back for Sunday Mass with family). It was again there that I was even more in love with this venerable tradition. But then came the years of exile when I took a job for 4 years in rural, southern Illinois (where it was odd enough to be Catholic, much more Byz-curious). When my wife and I were getting ready for our life of wedded bliss, she got a job offer in northern Michigan. Real God’s country, but no Byzantine Rite parishes or missions. And so, after 3 years in northern Michigan, I’m in the process of trying to determine what support there might be for an outreach in this area (with the support of the relevant eparchies). I know it will be a long process, but definitely worth it. So, you may ask, what draws me to the East? Well, I read an article featured on this blog that rightly pointed out the several stereotypical Latins becoming Byzantine. First, there’s the rabid traditionalist who’s weary of “modern” hymns, versus populum Mass, women on the altar, etc. I’ve met these people and know some of them. As the Blogging Presvytera rightly noted, these folks will often go back to a Latin parish once it starts to offer a Tridentine Mass or other traditional-style Latin Rite Mass (since they were drawn to the idea of a non-modern liturgy rather than, specifically, the Divine Liturgy, etc.). While I’ll admit the tradition of the Ukrainian and Ruthenian Churches (as well as that one heady Sunday morning I spent in a smoke-filled Melkite parish stumbling out with all of the antidoron I could grab) has greatly impressed me, I realized that the Byzantine Rite Churches are not museums. They are places of worship where our mundane lives get a glimpse of the celestial and eternal. Since this timeless worship is carried out by frail and sinful human beings, it will never be perfect. The reader might have an irritating chanting voice, the priest might like to give hurried and confusing homilies, the altar boys might trip over themselves, folks might have a devotion to the Rosary (and all of your online forums have told you these people will burn in Byzantine Hell for their Latinizations), etc. Again, parishes are not museums, and I’ve come to know, understand, and appreciate that. 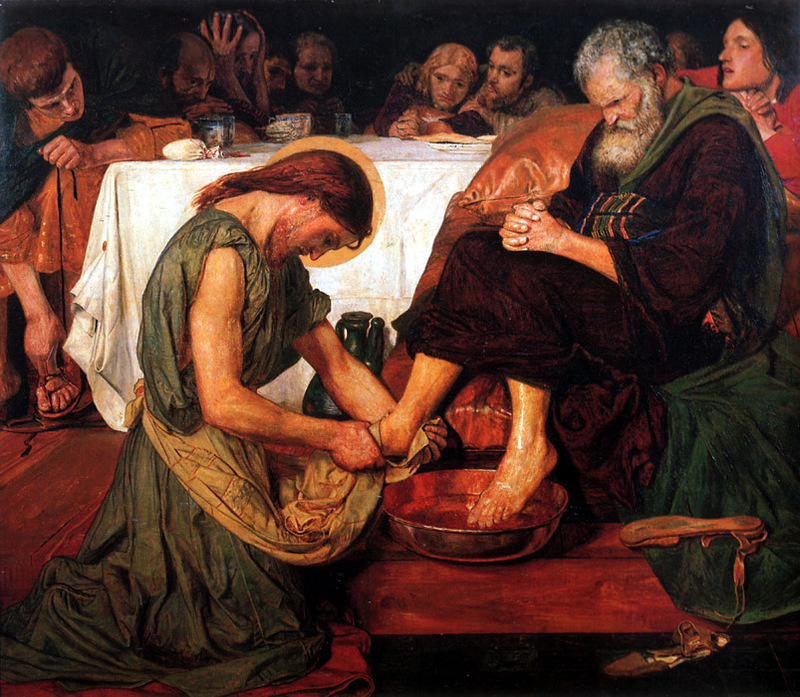 I am, in a sense, even more aware of my unworthiness to participate in the Divine Mystery when I see how I (and others) fall short of the glory and majesty the Divine Liturgy attempts to convey. This also contributes to what I can only describe as the “family feel” of every Byzantine parish I’ve ever attended. This may be my slightly nicer way of hinting at an aspect of most Byzantine parishes I’ve visited—disorganization. As Latins, we tend to inherit the mindset of the original bearers of the name our Church bears—the Ancient Romans. The Romans devoted themselves to law and order (along with roads and plumbing, this is what they used to justify tributes and taxes). Similarly, the Latin Church has a long tradition of applying precise legal thinking to ecclesiastical situations, as well as concretely defining rubrics (although these things went out of vogue in the 60s-90s, they are coming back in a big way). Altar servers can become liturgical drill teams turning on a dime and never missing a genuflection or bow, cantors have solos that make you feel like you’re at an operatic concert, the parish coffee hour has its own set of prescribed rituals promulgated by the USCCB, etc. It can be frustrating, then, when the attitude seems more relaxed, there seems to be a lot more (what looks to our structured Latin eyes) “wandering around,” the choir is just a bunch of folks who were daring enough to volunteer, etc. Again, it’s a quality that has attracted me. Again, these are merely my small, limited observations from parishes I’ve visited in the Midwestern US. This won’t be everyone’s experience, but it is this experience (along with some of the theological emphases I don’t want to bore anyone with in what was supposed to be a short article) that has called me East." Thank you for sharing your thoughts, Nicholas! We'll be praying for you during this new part of your spiritual journey! What is your ministry in the church? Our parish life is so important to us. Right now I’ve been helping teach catechism to the younger group of children, and I’ve been learning and helping to cantor the different tones for Liturgy. We want to help out in any way we can! Just this past weekend, we helped our parish with a presentation of the Ukrainian Holy Supper, Свята вечеря, and it was so wonderful! I am truly blessed to be a part of such an active, faithful parish where the members are like family. I thank God every day for this. Education and job? 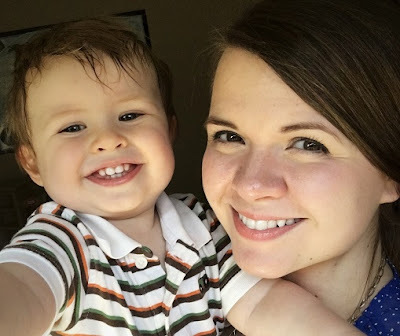 I mentioned my time in the convent, but when I left, I got a job with a statewide pro-life organization, and I was really grateful for my time there. I learned a lot about the pro-life movement and how to better help people choose life and respect life. We’ve been busy with our young family for the past several years, but I hope someday to become more active in the pro-life movement again. Favorite movie, book, music? For movies, I enjoy science fiction and other “geeky” films, but I also love classic films from Hollywood’s Golden Age. My favorite movie is probably Hitchcock’s “Rebecca” or “Gaslight,” but there are so many movies from the 30s and 40s that I love! For books, I prefer nonfiction or spiritual reading. But I’ve always been a Jane Austen fan, too, and I love classic literature. Music-wise, I have a very eclectic taste! I enjoy some typical pop music but also classical music, sacred music, and international music. Hobbies? I have many hobbies! With four young children, though, I don’t always have time to pursue them as often as I’d like, but especially as they get older, I love to share my hobbies with them, as well. I love to sing, and I love to paint. I’d love to study iconography more seriously someday. I also love to make crafty things! I enjoy cooking, baking, and gardening, too. I love fishing, and I’m nowhere near an experienced runner, but I like to run, too. What is 'cool'/interesting about you? Normally when people ask that, I tell them that I was a nun for 5 years! It’s a pretty unusual thing nowadays! While I was there, I had the opportunity to travel to Portugal and then again to Rome and Assisi. Those were really wonderful experiences, and someday I’d love to travel to Eastern Europe, particularly to where my father’s family is from. Also, when I was in the convent, I worked closely with their chaplain, a nonagenarian (he turned 100 this year!) Irish Dominican priest who was the founding editor of L’Osservatore Romano in English, and worked in the Vatican for 35 years. He had so many fascinating stories, and it was such a pleasure (and wonderful learning experience!) working with him. If you had $20 and an hour of free time what would you do? Probably go clothes shopping, looking for a good deal! Not very creative, but, it’s true! Thank you, Carrie for taking the time to answer these questions- you are a testimony to God's faithfulness! How does your faith inform your day-to-day life? I would say that it’s the single most important thing to us! Everything we do is done through the lens of our Faith. Our day to day activities follow the liturgical calendar, our week is spent building up to Divine Liturgy on Sunday. We want our faith to be something living, something infused throughout our whole life and informing every decision we make, not something that we put away except for certain times of the week. We don’t do this perfectly, of course, but that is always our goal. What is your greatest challenge in practicing your faith? Right now, I would say that it’s the learning curve. My husband went to a well-known Catholic university and a Catholic law school, and I was in a more traditional type of Roman Catholic convent for five years. We’ve both been very well-catechized as Roman Catholics, but that also means we started from a very Latin view of things! So in being Eastern Catholics now, we still have a lot to learn and always will. I particularly want to be sure that I’m teaching my children from an authentic and accurate Eastern perspective. It takes time, and I think that’s the greatest challenge for me, personally, at this moment. Knowing that it can’t come all at once. I want to know everything, RIGHT NOW! But it’s a process, and I need to respect the process and allow God to guide us through it, bit by bit. It takes humility, and that’s not my strong point! Favorite Bible verse? My standard answer is Romans 8:28, “We know that in everything God works for good with those who love him, who are called according to his purpose.” To me, it means that God can work anything for good, a reminder that “God writes straight with crooked lines,” as the saying goes. I’ve seen that in my own life, and this verse serves as a reminder to me that God’s ways are not our ways, but He always has our good in mind. Favorite saint and why? This is such a difficult question for me to answer, because I have so many favorites! The Saints have always inspired me my whole life; reading the lives of the Saints is what led to my “reversion” to practicing Catholicism when I was in 6th grade. I was so inspired by their many virtues, and how each one has a unique story. They make me want to be like them. I keep a liturgical calendar in a central place in our home, and write the Saint of the day on the white board in our homeschool room, and read a bit to the children about the Saint whose feast day it is each day. In our icon corner at home, aside from icons of Christ Pantocrator, the Theotokos, and Rublev’s Holy Trinity, we have St. Mark, St. Joseph the Betrothed, St. Nicholas, St. Mary Magdalene, and St. Helen of Constantinople. Overall, though, I would probably say St. Joseph the Betrothed. We have prayed for his intercession so often throughout our marriage for our family’s needs, and we feel a very special love for him and closeness to him. Thank you for sharing, Carrie! "My story here isn’t my conversion/reversion story, but rather the story of how I came to embrace Eastern Catholicism. When I was in high school, I discerned religious life and entered a community of Roman Catholic religious Sisters three months after high school graduation. I spent 5 years there! I love the Sisters very much and learned so much there. I am so grateful for the time I spent there, because it helped shaped me into the woman I am today. But it became apparent that I just wasn’t well-suited to the life. I’m nothing if not stubborn, though, so I forced the issue and stayed much longer than I should have! But I wanted so desperately to give my life to God, and I thought that was the best way I could do so. But I felt a strong longing for something else, and knew I had to make the transition back into the world and pursue God’s will for me there. Interestingly enough, my Superior in the convent had been friends with Melkite Archbishop Joseph Raya. She had taught Melkite children along with Roman Catholic children when she was in charge of the local Catholic school a few decades before she founded her Community. She had a great love and respect for Eastern Catholicism, and we had many Melkite benefactors, so I attended my first Divine Liturgy and had my first “taste” of Eastern Catholicism when I was a Sister. After I left, I met and married my husband, and we started our family right away, doing our best to be devout Roman Catholics and raise our children as such. Being a wife and a mother is everything I ever dreamed of! It became obvious that this was the vocation meant for me; it’s like the puzzle pieces finally fit. It makes me laugh now to think that I ever thought I was supposed to be a nun, because I love being a wife and a mother so much! But I’ll always be grateful for that experience. 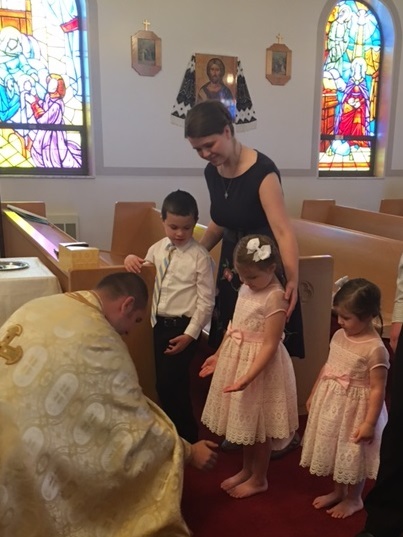 Every now and then when we’d visit my husband’s family back home in Pennsylvania, we’d visit the Ukrainian Catholic Church in town for Liturgy. My husband and his family had attended when they were younger, so he was more familiar with it than I was. At first, to my great embarrassment now, I must admit I was a little annoyed! I thought it was nice that we attended sometimes, but it was still not as familiar to me, and I didn’t really understand why it meant so much to them. My husband had asked me once if I would ever consider transferring to an Eastern Catholic Church, and I remember saying, “No, no way. 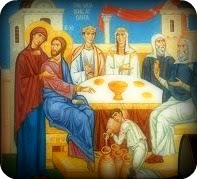 I’m Roman to the core!” But one year, during Divine Liturgy for Pascha, something changed. I opened my mind and heart a little more, and fell in love completely. I spent the next year learning more about Eastern Catholicism, and the more I learned, the more drawn in I became. To me, it was almost as if it was where I was meant to be all along. Meanwhile, I had started to look more closely into my family history, and in doing so, I discovered that, canonically, I am Eastern Catholic. I was floored! So much for being “Roman to the core,” right?! My husband also discovered that his heritage was similar. All this time we had never known! We had already been leaning this way for quite some time, but that was sort of the final “clincher” that made us decide to jump right in and fully embrace our Eastern heritage. We see these circumstances as God’s Providence. 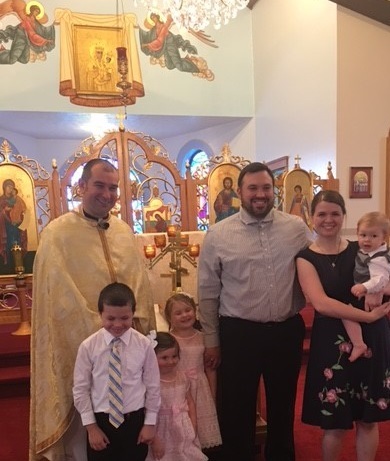 We have recently become full members of the Ukrainian Greek Catholic Church and are so at home! Our four children are still young (my oldest just turned 7), but it’s been so beautiful to see how they’ve embraced their Eastern heritage, as well. 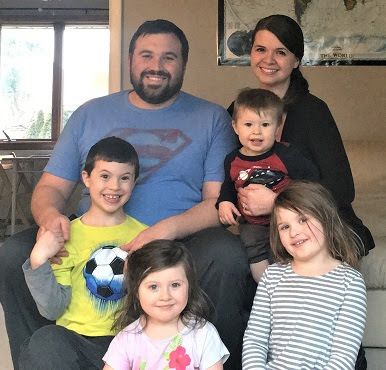 They were all chrismated and received their first Holy Communion together this past summer." Thank you so much, Carrie, for sharing your story! Part 2 coming up!